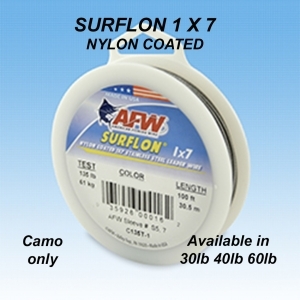 A specially selected grade of nylon, tough yet flexible. Is used to seal out water, reduce visibility and improve the life of the line. Fantastic for up traces, giving a subtle yet effective presentation. It is more supple than the bleeding leader, but still is fantastic for up traces. Can be twisted or crimped.